India is an impactful country, no matter which thread of its closely inter-woven structure you follow. We are the world’s greatest agrarian economy. Ours is the largest democracy in the world enjoying a sense of multiculturalism that few nations in the world possess. The wave of entrepreneurship that began gaining new grounds in the USA, most identifiably as the Silicon Valley triumph has been unarguably bettered by entrepreneurship in India, evidenced by diverse spheres including E-commerce, Trading, Fashion, Manufacturing and many more domains. What grows to be famous in India, sooner or later, leapfrogs to the West, exuding a wave of popularism, at times rising as a gigantic storm consuming everything in its wake. Our movies in India aren’t for Indians alone; with viewers in Canada, USA, UK and France. Our classical music is enjoyed as a lyrical odyssey by many nations of the world. But that’s not all that is good or popular about India. One of India’s most meaningful contributions to the larger world is Yoga. Yoga has redefined the way we think, view and reflect on the world and our place in it, impacting our communication and place in the greater cosmos. June 21 will bring about tremendous sense of information about the science and practice of ‘awareness’ in what is celebrated globally as World Yoga Day. But what is the essence of Yoga, how did it become such a raging sensation the world over as we see it today? Lets attempt to place Yoga in India’s national and international canvass and trace the reasons for its magnanimous popularity. Originating in India, one can trace Yoga’s routes to the Indus Valley civilization. While Maharishi Patanjali is credited with founding the spiritually conscious practice, Yogis like BKS Iyenger and Paramhansa Yogananda are credited with spreading greater awareness of hath yoga to the West. But often in regarding this globally renowned science of living and consciousness we tend to regard its practice but forget its roots. 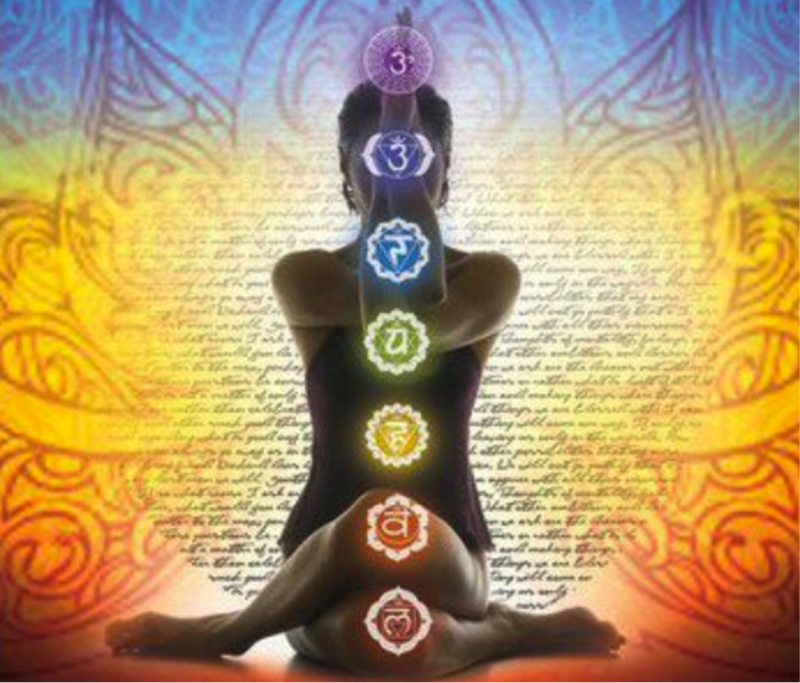 Yoga was derived from the Sanskrit word, “Yuj” which means ‘to control’ and ‘to unite’. If you refer to philosophy, then you can find Confucius as saying, ‘under the skies, under the heaven we are but one family’. Interestingly, Yoga is about aligning the mind with the body and is fast emerging as the common adjoining force in a largely disparate world. 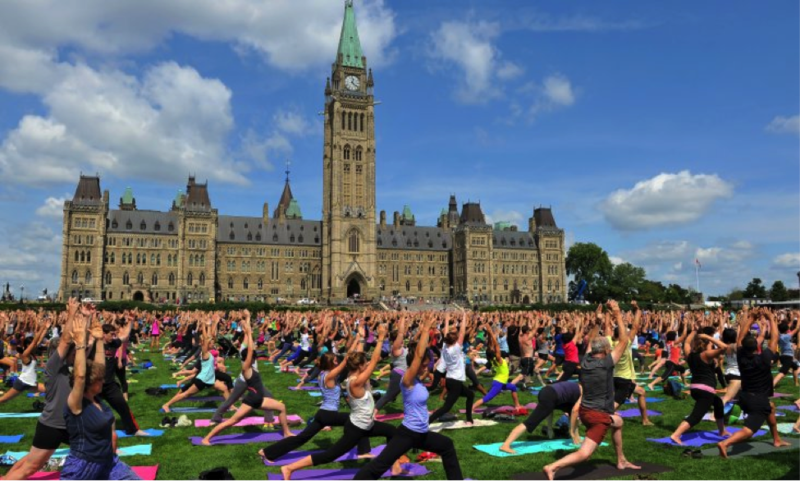 According to estimates, there are a mammoth 18 million practitioners of Yoga in North America alone. Popular for creating a brand out of a common idea, America has dished out a heavy-duty Yoga industry like any other, emerging with Yoga studios and Yoga retreats. Any commoner would do well to perhaps think of a Yoga retreat as an ideal confluence of beating life’s woes and common problems instead of knocking on doors of a rehab center. But, perhaps that day too will come. In the process of savouring a culinary amazement, we often tend to forget about the intricacies involved in preparing. Similarly, we tend to regard Yoga alone and forget about the force credited with making it massy. It is often an unacknowledged fact that Yoga didn’t stand a chance to be recognised and hailed in the West had it not been for Shri Aurobindo. It was Shri Aurobindo who translated Yogic scriptures such as the Bhagvad Gita and the Upanishads, bringing about a massive tide of awareness translating to popular practice to the western world. Often, in the course of living our lives and realizing our dreams, our aspirations tend to open the gateway to the world outwards, which is why we tend to rush out and communicate much as we can reflecting an ‘outward’ approach. But Yoga implies on becoming one with the universe and doesn’t insist on active, verbose outward communication. For the communion with the divine, we need to practice awareness. Yoga is all about giving us a levitating force that enables us to reach this awareness. 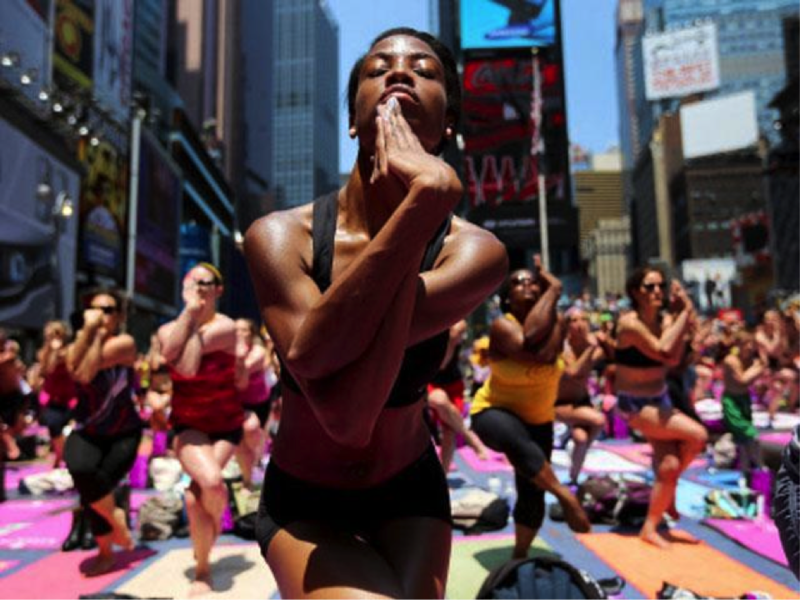 Yoga, for long, has battled a range of popular misconceptions like any popular massy rage. Men especially have been on the rougher side of questioning the ancient practice instilling mind and body alignment. Many men in the world have surprisingly courted fears that regular yoga practice would make them soft, nimble and feminine. On the contrary, Yoga has struck a chord with the general public for its ability to make us strong and durable. 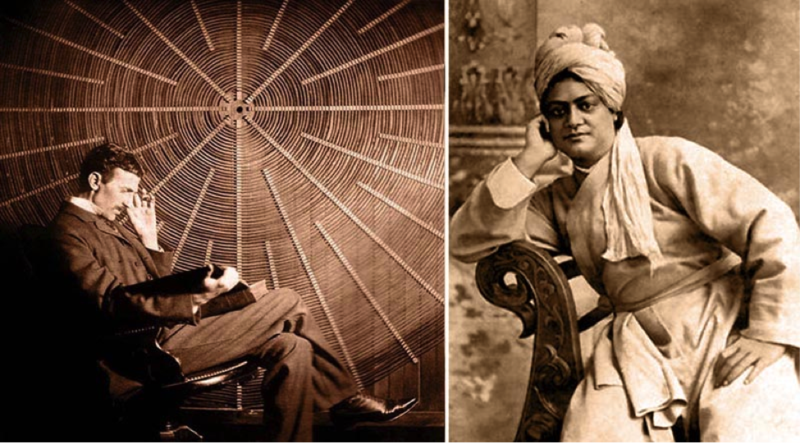 To the common perception, Swami Vivekanada and Nikolai Tesla are as vividly different as sunbathing is to moon-walking. On one hand, there’s the spiritual master revolutionary from India and on the other is an inimitable science supremo. But together (circa 1894) they discussed to find a common understanding between the ancient eastern Vedic Sciences and Western Physics. Tesla, famously said, “all perceptible matter comes from a primary substance, which is acted upon by the life giving Prana or creative force, in never ending cycles, all things and phenomenon”. Wherever happiness is the goal, Yoga is the buzzword. Yoga has now spiraled into being a viral sensation that you don’t just mindlessly click about, instead practice to rave about. 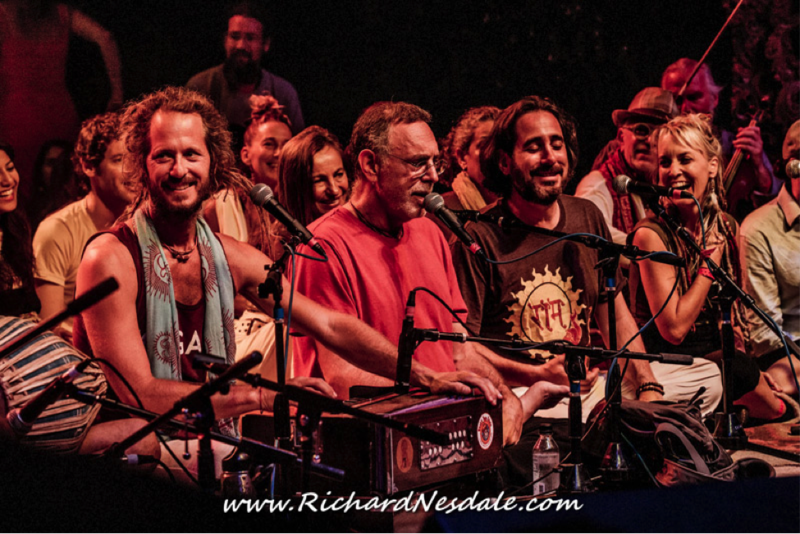 With the advent of Bhaktifest, perhaps the world’s greatest congregation of individuals celebrating a conscious community through a confluence of sacred music and meditation, yoga has got its greatest shape-lift of the 21st century. Each year, building a small village at the heart of Joshua Tree, California, hundreds of thousands of visitors come about to converge on a mélange of consciousness seeped in the heart of dainty and spiritually divine music and meditation. Healing workshops, round-the-clock yoga classes, discussions by yoga trailblazers and chanting sessions are some of the highlights of the world’s best known congregation of people around Yoga. World-over, hurried lives and reckless lifestyles have resulted into chronic ailments. The health crisis, around the world continues to grow with chronic diseases permeating into our society. And as a result when an inspired run on the treadmill does nothing more than produce a groovy upbeat feeling that lasts for shorter than an hour, people increasingly resort to Yoga. 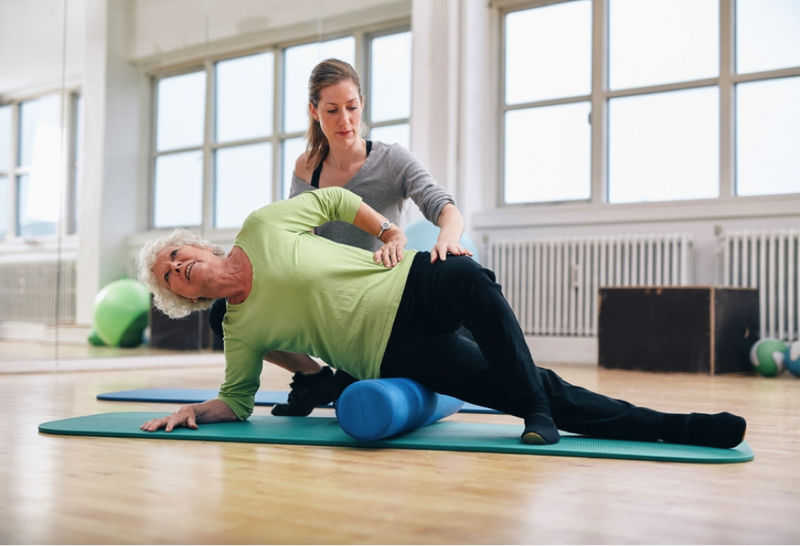 It isn’t uncommon to see people incorporating Yoga as a part of a holistic approach to treat a myriad of ailments such as diabetes, back pains, arthritis and even skin-disorders. The phenomenon that was once a staple diet of an America gone wrong on health and fitness is largely hitting India with rich aplomb. Yoga, that easy-going meditative process to liven up the self is today holding centre-stage in big corporate establishments. 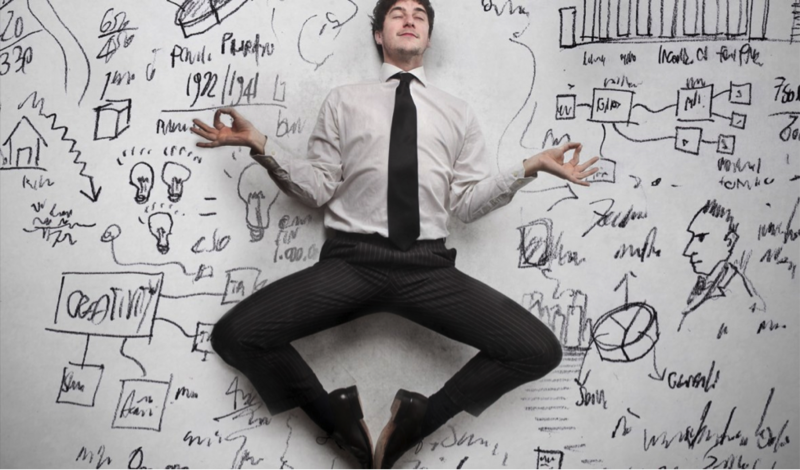 Akin to a fish taking to waters, world-over, not just in North America, one can see Yoga being an important pivot of ’employee engagement’ programmes. Even tech giants like Google offer mindfulness and meditation courses, which are oversubscribed, to help employees gain more self-awareness and tap into their creativity. 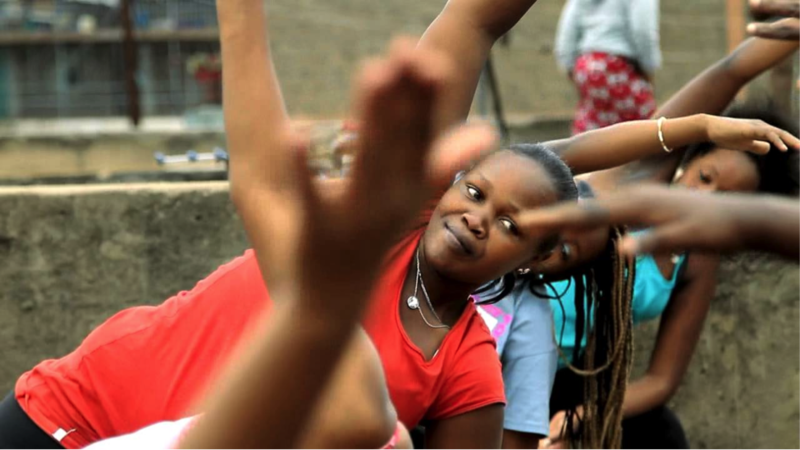 The beauty of Yoga truly lies in its tendency to take different forms, elucidating a trajectory of change, something that is the core truth of our lives. Estimates suggest that from 2004-2011, world-over, many diverse forms and styles of Yoga, once only popular in India had struck a chord. Among these were Kriya Yoga (Yoga with active physical exercises), Moksha Yoga( Yoga to converse with the divine), Prenatal Yoga( for pregnant women), Sahaj Yoga( for Samadhi) and Tantra Yoga (for defeating ailments) gained higher ground. While some practice it purely to beat stress, many see Yoga as an uplifting sporting activity. Besides, there are always those among us who see it as the greatest spiritual but attainable pursuit. At the same time, it is no surprise to note several nations embroiled in some form of crisis; some battle torn, others ravaged by years of political instability or military upheaval and whatnot. Therefore, it has been seen that people feel drawn to Yoga because it provides an envelope of escape from the ensuing turmoil that countries find themselves in. Resultantly, you have avid Yoga practitioners, teachers and believers in the wider world amidst a cause to strike that necessary balance between the mind and soul. Countries such as Canada, Poland, Iran, Ireland, Indonesia, Thailand among many others have flocked around Yoga like honeybees to a beehive. 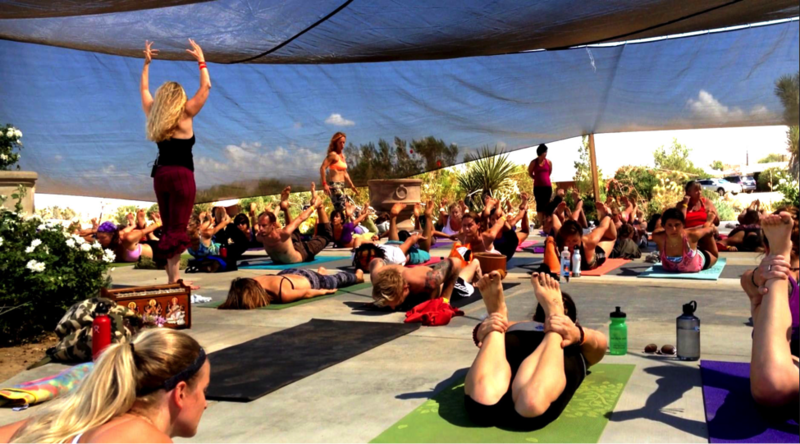 A host of American celebs and fashion icons have sought in Yoga their best self-expression. Leading tardy and often jilted lives, through Yoga, many acting stalwarts and style icons have resorted their inner turmoil, battled crisis’ and regained what they call lost momentum. 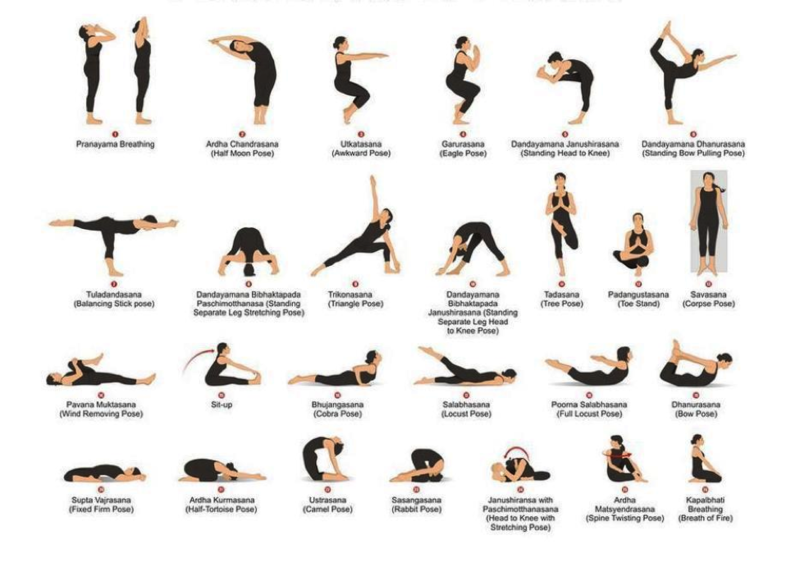 Among the celebs most devoted to Yoga are singers- Sting and Madonna and actors- Robert Downy Jr., Keanu Reeves, Richard Gere, Julia Roberts, Charlize Theron, Demi Moore and Kim Kardashian.